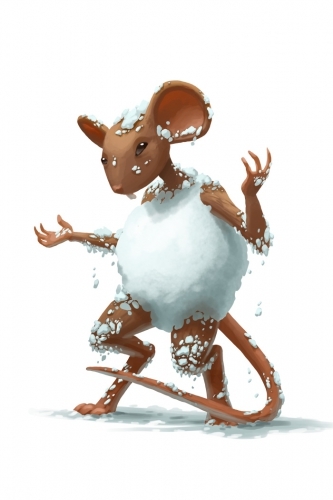 The Stuck Snowball Mouse is an Event Mouse found during the annual Great Winter Hunt event. Each catch of a Stuck Snowball Mouse increases the points awarded by 500, and the gold awarded by 350 (the second catch is 2,500 points and 1,000 gold, the third catch is 3,000 points and 1,350 gold, and so on). Information on how to locate and capture the Stuck Snowball Mouse can be found on the current Great Winter Hunt location page. The Stuck Snowball Mouse drops Winter Charms as loot. The Stuck Snowball Mouse drops Throwable Snowballs as loot. In addition, the loot includes an Advent Chocolate on every tenth catch (first, eleventh, and so on). 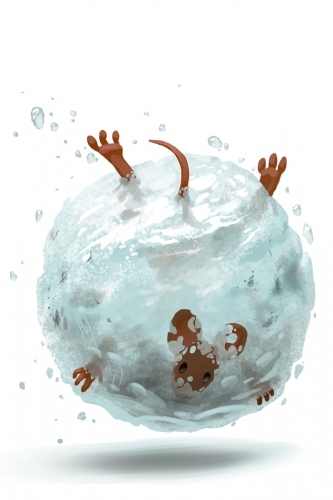 9 December 2014: The Stuck Snowball Mouse was introduced as part of the Great Winter Hunt 2014 event. I just caught a Stuck Snowball Mouse for the X time! Poor guy keeps rolling though, getting bigger and bigger - pretty soon I should even get more loot from him! I look forward to the next time I catch him! I just caught a Stuck Snowball Mouse for the X time! He's definitely much bigger now. The next time I catch him, I should be able to get more stuff! 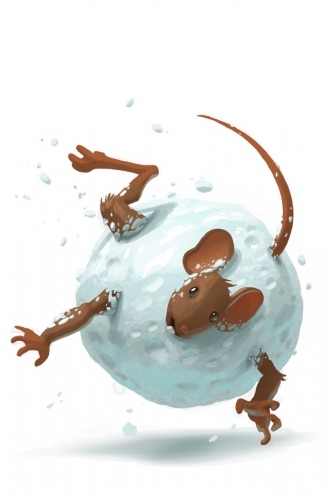 The image of Stuck Snowball Mouse changes as the hunter catches more of it. This page was last edited on 18 December 2017, at 10:01.